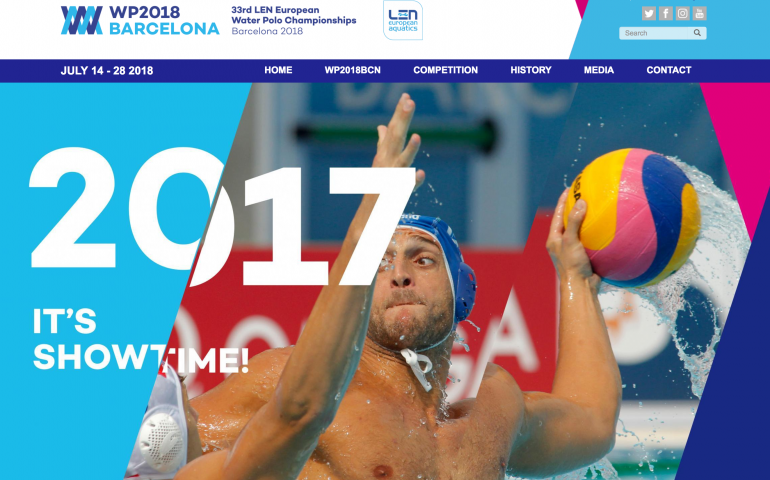 Barcelona, 16 March 2017 – The 33rd LEN European Water Polo Championships will officially kick off tomorrow with the first matches corresponding to the first round of the men’s qualification tournament. Prague will be the battlefield where Switzerland, Austria, Bulgaria and the Czech Republic will have to face each other over the course of three days for two spots in the next round. Only the two best squads of this round-robin tournament (all-play-all tournament) will go through to the next round, held in Poland and Portugal from 6-8 October. The first classified team from Prague will face Poland, Belarus and Israel in a series of matches played in a Polish city, whereas the runner up will travel to Lisbon to play against Lithuania, Ukraine and Portugal. The second round will also be a round-robin tournament. The six men’s teams already set to play in the second round are those that did not qualify for the final stage of the latest European Championships held in Belgrade in 2016. The women’s qualification tournament will start in October. Malta, Israel, the Czech Republic, Slovakia, Romania and Ukraine will face each other in the first round that will take place in Ukraine from 4-8 October. The 33rd LEN European Water Polo Championships will be held at the Bernat Picornell Pool in Barcelona from 14-28 July.